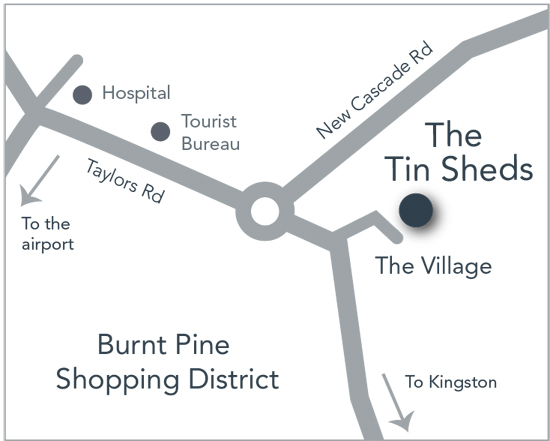 The Tin Sheds – Norfolk Island is nestled in the middle of the island and just a minute stroll from the Burnt Pine Shopping district where you’ll find cafes, retail shops, tour companies and the Visitor Information Center. The natural wonder of the pristine beach and lagoon area that is Emily Bay, the historic heritage-listed areas of Kingston and the breathtaking views of the coastline and national parks are just a few minutes drive from your doorstep. You’re never far from any of the wonders that are uniquely Norfolk Island. That’s the beauty of the island being only 8km by 5km!